Making provisionals for veneers can be one of the most challenging pieces of the restoration, so much so that many dentist shy away from recommending veneers. there are many techniques for veneer fabrication and they each have different technical challenges. One of the most predictable technique I have found is to make them directly on the prepared teeth, but customize the set time before removing the matrix and remembering the path of insertion. 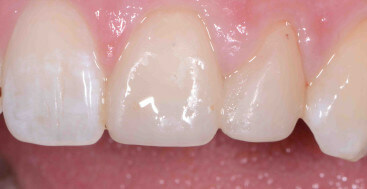 Most bisacryl provisional materials recommend an intraoral set time of 45-60 seconds before you remove the matrix. When done properly the temporary will come out of the mouth inside the matrix and is allowed to now sit until the time of complete set inside the matrix. This is done so the provisional restoration is removed from the mouth during the gel phase of the set and not locked into interproximal undercuts and locked in. For veneers if you remove the matrix at this same time frame the provisionals are so fragile that the bisacryl tears and distorts and pulls out of the matrix. On the other hand unless you are planning a shrink wrap technique you do not want to allow the material to go to a full set or you will not be able to remove the bisacryl from the preparations. I have found that leaving the bisacryl and matrix in place for an additional 30 seconds beyond the manufacturer gel phase works. The bisacryl is hard enough to not tear or warp but it can still be removed from the preps. The other factor to remember is that veneer preparations draw from the facial not over the incisal edge. 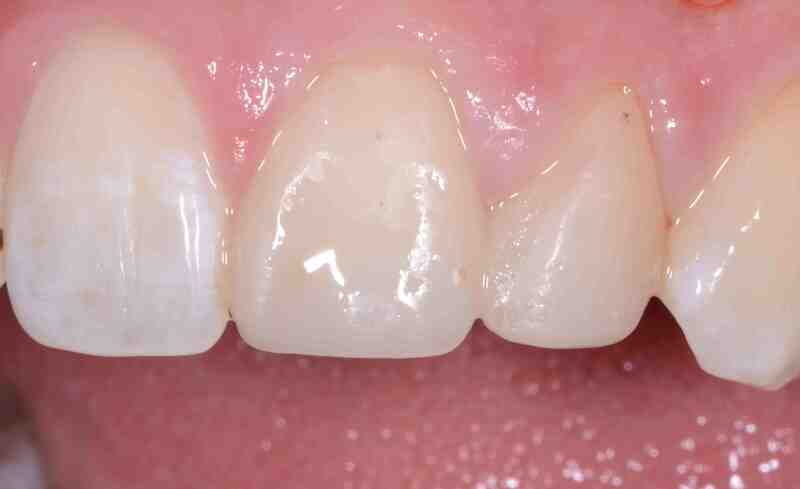 If you try and remove the veneer provisionals by lifting over the incisal edge you will most likely fracture the gingival one third of the bisacryl. If you have excess material on the lingual of the tooth where it has not been prepared this has now locked the bisacryl in place. The lingual material must be lifted and then the provisionals rolled off to the facial. This is straightforward if you are working on the bisacryl before it has reached a full set, and simply placing a plastic instrument under the lingual excess and lifting removes it. Great information shared! Veneers are helpful but as is it is mentioned the better materials used to make the it. Though it is a traditional procedure to improve smile and to avoid decolorisation of teeth. It helped me to get my beautiful smile back.